If you’re looking for the perfect franchise opportunity, look no further than Argos Homewatch! Owning a franchise enables you to go into business for yourself, but not by yourself; and there are few franchises as rewarding as Argos Homewatch. By opening a franchise with our fully bonded, insured, and accredited Home Watch company, you’ll increase your chances of your success thanks to our well established brand and proven business methods. Not only will you reap the benefits of owning a franchise, but you will help others by looking out for their home while they’re away by providing 24/7 Home Watch, House Sitting, Key Holding, and Concierge services. There’s no day like today to get started on your road to success with an Argos Homewatch franchise! 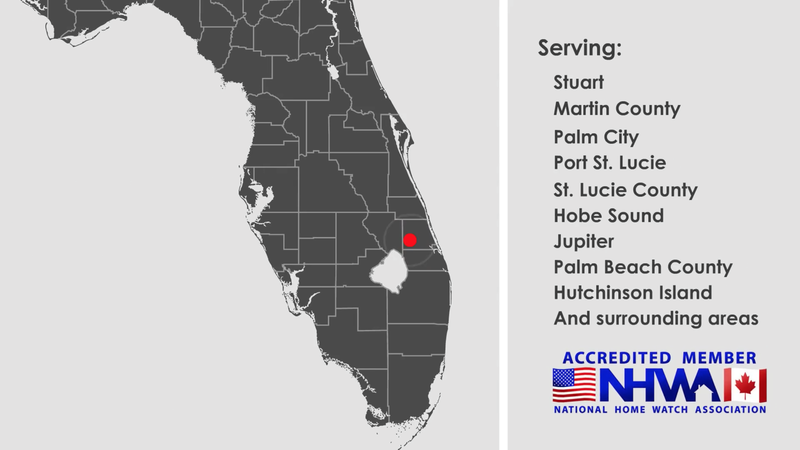 Our Florida Home Watch, House Sitting, Key Holding, and Concierge services are currently all throughout Florida’s Treasure Coast serving areas such at Stuart, Martin County, Palm City, Port St. Lucie, St. Lucie County, Hobe Sound, Jupiter, Palm Beach County, Hutchinson Island, and more! Find out where you can open the next Argos Homewatch to provide homeowners with 24/7 peace of mind by contacting us today!